Good evening! I hope you've enjoyed the holidays! I'm back today with a perfume review. I'm trying my hardest to give each one of my decants/mini/sample sized perfumes a fair chance before buying more. Today's Perfume Diary entry is Atelier Cologne Silver Iris, an EdP. 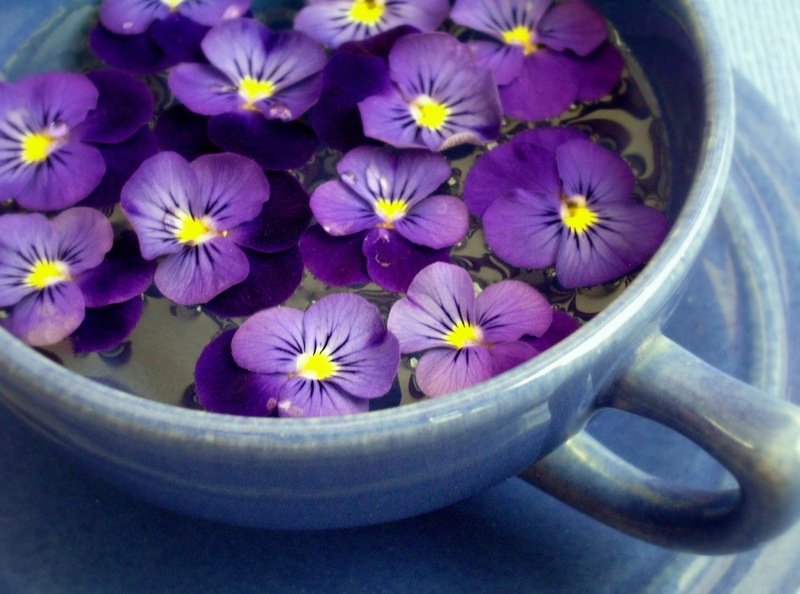 I bet by now you'll have wondered why there's a lovely photo of violets and not irises, like the name. There's a good reason for that. What I experience is an opening of strong, strong black currant. So strong that I recoiled a bit, nostrils flaring with the bit of pink pepper. It soon crescendoed into a wave of simperingly sweet sugared violets. It wasn't like walking past a confectionery store and the breeze of sugar crystallized flowers lingering in the air; more like eating your fill until your teeth began to ache. Throughout the dry down, patchouli and the faintest iris weave in and out, giving the sugary creation a bit more depth. Yet Silver Iris is definitely powdery and doesn't quite have the cool floral feel that I was hoping for with such a name. I was a bit disappointed because I had hoped for a bit of tangerine and more mimosa but had missed out on both. This EdP stayed pretty close to my skin but the dry cool weather has not been favorable to any perfume lately. Staying power was quite good, close to 8 hours before fading. Have you tried any of Atelier Cologne's offerings? I have a few more decants from AC to review in the upcoming weeks.